The camera can change between three perspectives in Red Dead Redemption 2, and this guide will show you how to change between all three on the fly. Rockstar added in a first person perspective after the launch of GTA 5, but with Red Dead Redemption 2, it's available from launch. In this Red Dead Redemption 2 camera guide, we'll be walking you through how to change camera in Red Dead Redemption 2, so you can switch back and forth between the first and third person cameras, as well as the special cinematic camera. But if you instead need help with any other areas of Rockstar’s game, you’ll want to head over to our Red Dead Redemption 2 guides hub. It’s on this page that you can find all the information you need about getting to grips with the combat and world of the game in the opening hours, as well as a full index of our in depth guide pages. Whether you’re playing Red Dead Redemption 2 on PS4 or Xbox One, you can switch the camera between three perspectives. You can either play in first person mode, or two versions of third person, where you can have the camera close behind Arthur Morgan, or a few meters back from the protagonist. Switching between all three modes is simple: press the Touch Pad on the PS4 controller or the Select button on the Xbox One controller. Pressing this will switch you between all three camera modes, and you can switch it up as much as you like through Red Dead Redemption 2. Note that there will be some situations in Rockstar’s game where you’re forced to play in one camera perspective. There’s a story mission really early on in the game, where Arthur gets blackout drunk, and for most of this sequence you’re stuck in the first person camera mode. Apart from instances like these, you’re free to switch back and forth between the first and third person perspectives. Are There Any Advantages to Playing Red Dead Redemption 2 in First-Person? We've played Red Dead Redemption 2 in first and third-person perspectives, and it's hard to pick a favourite. Aiming is solid in both modes, so the choice comes down to your field of view. 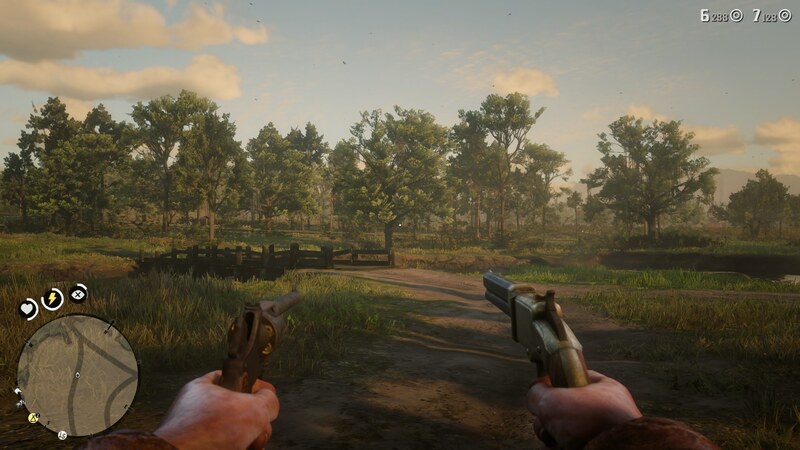 When playing in third-person you get a larger view of the world around Arthur, although as the game isn't a corridor shooter this doesn't give much of a gameplay advantage. 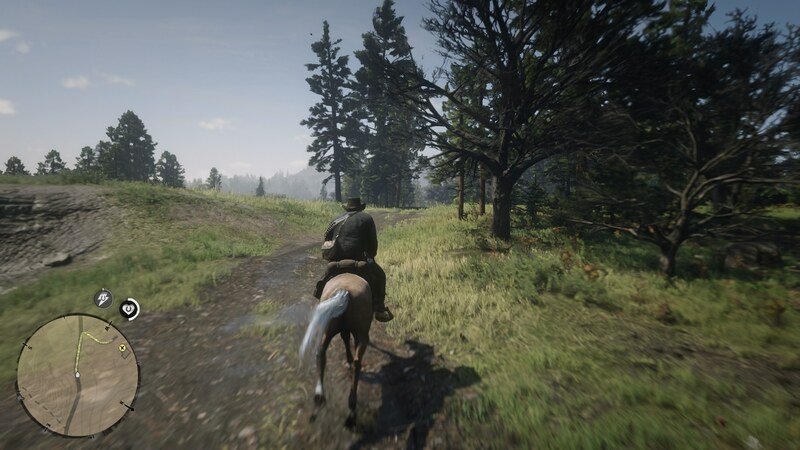 There is another camera view in Red Dead Redemption 2 that isn't activated by scrolling through the options. The cinematic camera presents the action from a, well, cinematic view point, meaning it's not hugely playable but does look very nice. To activate the cinematic camera in RDR2 you simply have to hold down the camera button. You'll see black bars start to appear at the top and bottom of the screen, but keep holding until the button prompt disappears. This might be the end of our guide on how to change up the camera in Red Dead Redemption 2, but there’s plenty more guides on the game here at USgamer. You can check out our guides on how to increase your stamina, or how to increase your health in Red Dead Redemption 2, if you need a bit of a boost in either area.